The fall, and dare I say winter, is upon us, which brings quite a few changes to us New Englanders. Yes, summer temperatures will pop up here and there, but let’s face it, they’ll be few and far between. During the change of seasons it’s important to note that just as we see changes in the external world, our internal being shifts as well. This can often be overlooked as we get swept up in our everyday activities, but if you stop and pay attention, you may notice a growing desire for warm, soothing, comforting, and grounding foods or activities. It makes total sense - these desires help to balance out the cooler temperatures, rough winds, and busy or un-grounding schedule. This concept of like increases like and the opposite balances stems from the ancient practice and sister science of yoga, Ayurveda (Ayur meaning life, Veda meaning knowledge or science). So, to help keep you balanced, grounded, and in good health this autumn try incorporating one or all of these yogic practices into your routine. Enjoy! 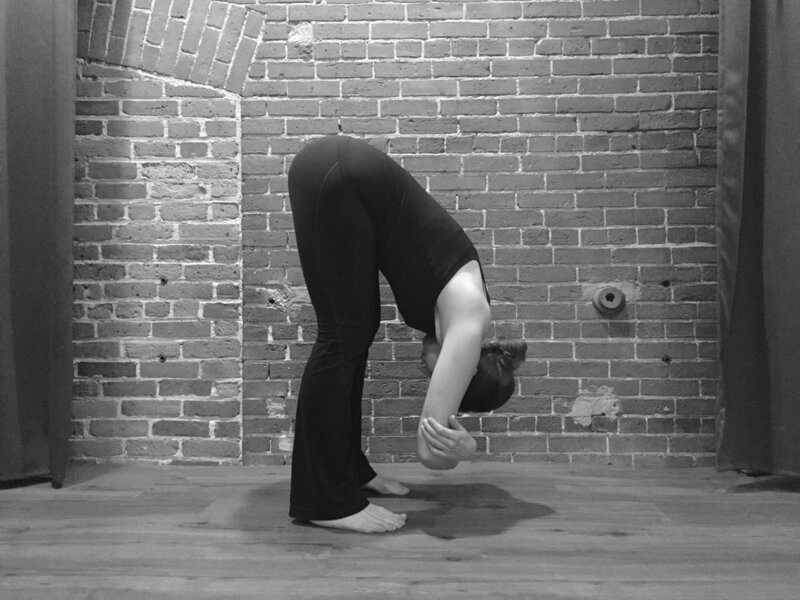 End by exhaling through the left nostril and then release the right hand from the nose. Sit quietly for a few moments, breathing in and out through both nostrils, and notice any shifts.